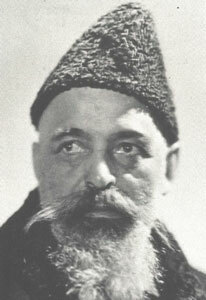 George Ivanovitch Gurdjieff was born in Alexandropol in the Caucasus. He spent the first part of his life undertaking anthropological and archaeological research in Africa, Central Asia and the Far East. His search took him to the lamaseries of Tibetan Rimpoches, to the libraries and mosques and monasteries of Asia, and to the great religious centres of Echmiadzin, Jerusalem and Bokhara. After visiting many countries he reached the conviction that his researches had led him to a valid conception of the meaning of human existence, and having discovered methods, some ancient, others new, for the development of the powers latent in the human psyche, he founded in 1912 in Moscow the Institute for the Harmonious Development of Man. After the Russian revolution, this was moved to France. Meetings in Leeds, Harrogate and Ripon.